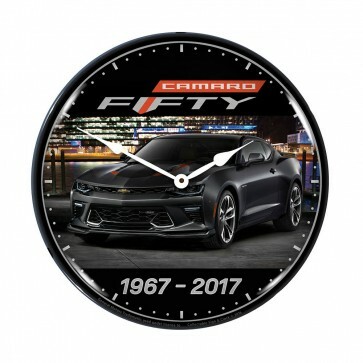 This clock is loaded with graphics featuring the Camaro Fifty logo and car and 1967-2017 commemorating 50th anniversary Camaro. 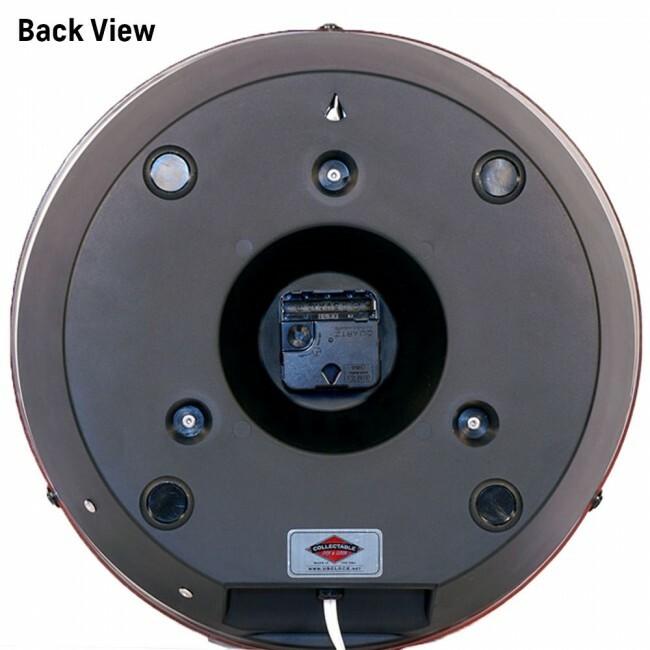 It measures 14 inches across with an outer lens made from high-quality optical Lexan™ and is backlit with an LED light source with an on/off switch in the cord. 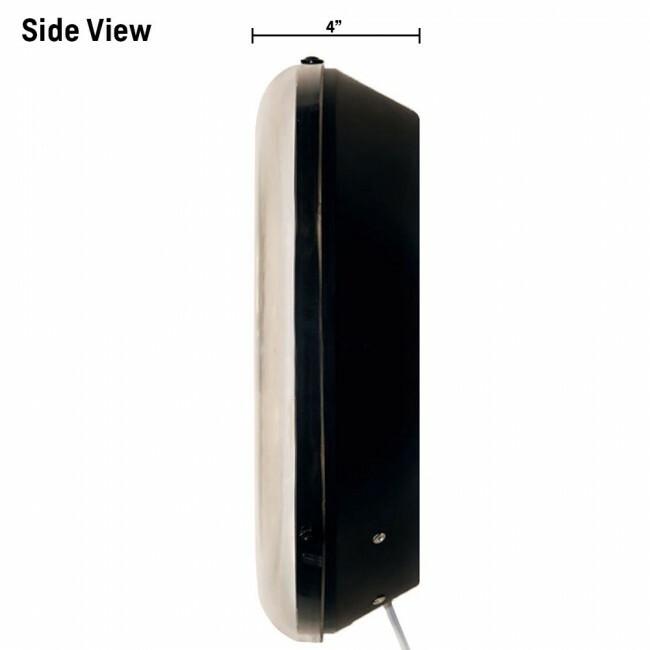 The clock itself with quartz movement runs on (1) AA battery. This is a must-have for any collector. 1 year manufacturer's warranty. Made in the USA.